Looking to move to the Bellamy Area? 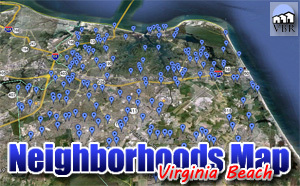 Here are the Bellamy homes for sale in Virginia Beach! The neighborhood is comprised of detached single family homes. It backs up against Ferrell Parkway, but fortunately, does not access it. This makes through-traffic non-existent. It is a short drive to 64 and 264. There is an excellent shopping center very close, but across Princess Anne Road, named Brenneman Farm Marketplace. The neighborhood is in the Kempsville High School District. Nearby neighborhoods include Indian Lake and Buckner Woods. We have a page with all the homes for sale in Bellamy. Click on this button to see everything currently listed there. When you find a home you would like to see, please let me know! Call (757)589-1237 and I will arrange a showing! Or, on the property, complete the Find Out More form and click submit. I will get information to you right away!